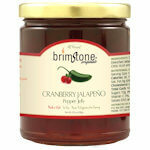 Sometimes, the combination of ingredients are so down to earth, that you wonder why did I not think about this. 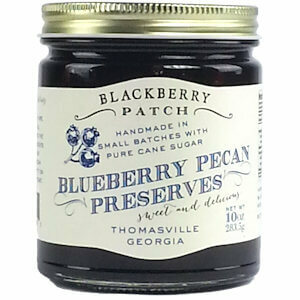 This Blackberry Patch preserve is made from fresh blueberries and ripe Georgian pecans. 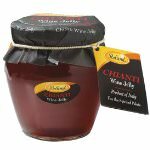 A delicious sweet preserve that is lovely on your breakfast toast, your pancakes or part of your baking creations. 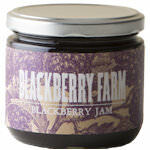 Ingredients: Blueberries, pure cane sugar, pectin, pecans.